The number of school districts in California reporting precarious financial conditions — including six in San Diego County — is continuing to decline, according to a report released Wednesday by the state Department of Education. In what the department calls the First Interim Status Report for this school year, 43 districts around the state said they would not be able to meet their financial obligations in this year or the next two years, or weren’t sure. That’s down from 49 a year ago, and far below the 188 in perilous financial condition in 2011-12, according to the CDE. “It shows that the improving economy and additional revenues from Proposition 30 have helped pull many school districts out of financial jeopardy, allowing them to concentrate on their most important task — educating their students,” said Tom Torlakson, the state superintendent of public instruction. He referred to voter-approved Proposition 30, which increased sales taxes and adjusted income taxes to raise revenue for education. In San Diego, the San Ysidro Elementary School District — which has spent the past several years in financial and administrative turmoil — issued a “negative” certification. That means district officials don’t believe they’ll be able to pay their bills. 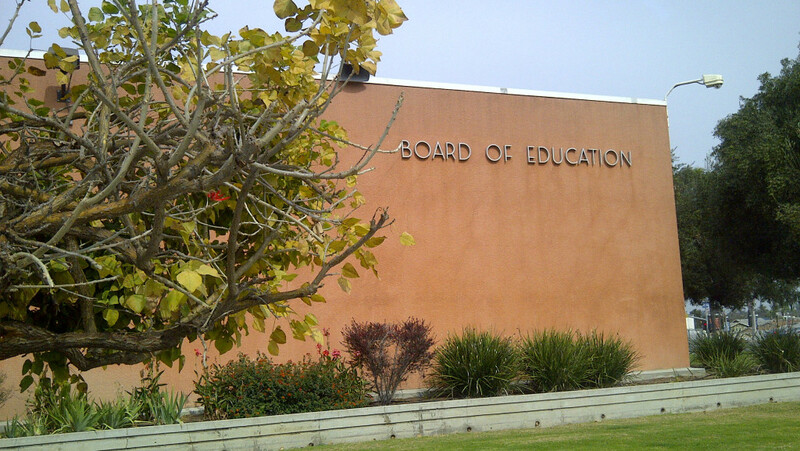 Issuing “qualified” certifications, meaning they aren’t sure they can meet their financial obligations, were the Borrego Springs Unified, Coronado Unified, Ramona City Unified, San Diego Unified and Warner Unified school districts. Just two years ago, nine districts in San Diego County reported some form of financial distress. School districts will issue a second financial report to the state in a few months.